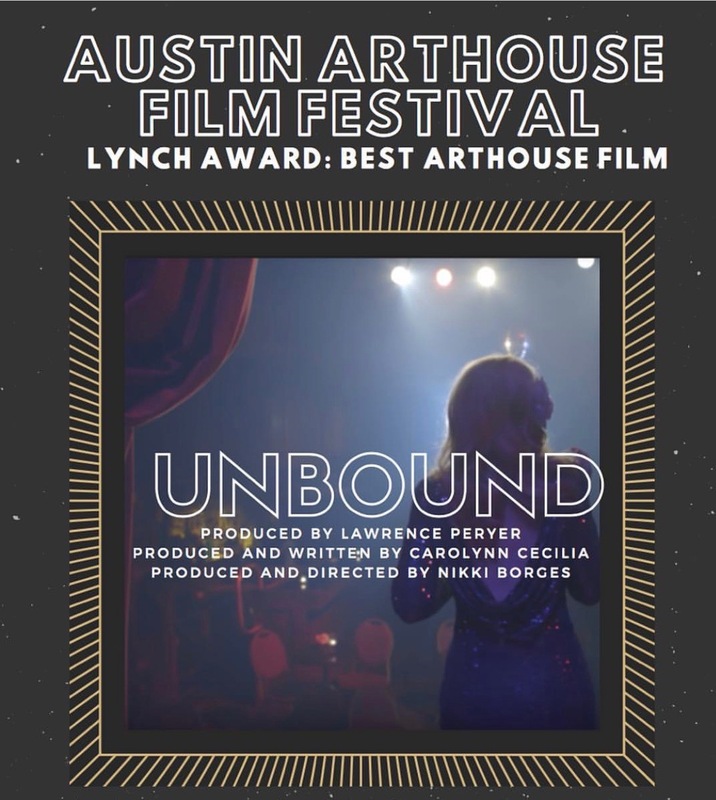 Hot on the heels of five nominations at the Austin Arthouse Film Festival, it was revealed that UNBOUND took the laurel for Best Arthouse Film, the top prize at the event at their ceremony on October 20th. 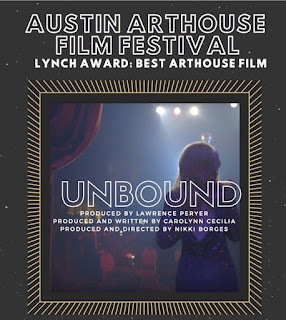 Thank you, Liz, Giselle and everyone at Austin Arthouse Film Festival for recognizing UNBOUND. Congratulations to all of the other nominees whose films were included in the Festival. Austin is a special place for the film. Before tonight, the only other public screening of the complete work was also here in town – at SxSW – as part of a panel we did during the promotion of the film. Thank you to Bill Zysblat and Coco Schwab, David’s trusted friends and advisors whose early support set in motion the events that led to UNBOUND. Thank you to Betsy Whitney and Mike Matthewson at Columbia Records and Sony Music. Thank you to the wonderful on-screen performers Tavi Gevinson, Patricia Clarkson, Jonah Herman, Daniel Rysak, Ching Valdes-Anan and Jay Knowles as well as the musicians, dancers and other on-screen talent. Thank you also to David’s fans, especially the community on his official website, davidbowie.com. Producer Lawrence Peryer would like to personally thank UNBOUND writer and producer Carolynn Cecilia for sharing her talents and vision and Michael DeCheser and Mike Ragone whose post-production assistance helped us wrap our project.